Why is going solar beneficial? Going solar is becoming a trend in the USA today and the adoption of solar energy has reached a new height of 1 million installations nationwide. However, there are still many households and businesses that are still in the decision making process of switching to solar. If you are interested in going solar and want to conduct your research before switching to solar; you are in the right place, because here you can find interesting information to help you answer the most common question many homeowners or business owners ask before they make the decision to switch to solar i.e. Are solar panels worth it? All it takes is to type your home or business address in an online solar marketplace where you can compare quotes apples-to-apples—making it easy for you to pick the best quote. Using an online solar marketplace is the easiest way to go solar as it offers you with true comparison, a shopping style that is emerging today because of the internet. With that brief background about how going solar has been simplified; let’s see why going solar is beneficial for you? There are two main reasons why going solar may be beneficial for your home or business. 1. Solar is beneficial for saving money! With the increasing electricity costs and decreasing price of solar panels, it is clear today that going solar is viable option for now and more importantly for the long-term. Also today because of the introduction of innovative solar financing options like solar lease and solar power purchase agreements (PPAs), you don’t have to worry about the initial costs of going solar, because today you don’t even need any upfront financing to switch to solar. With regards to how much you can save with solar; it depends on the size of your solar power system and your current energy requirements. A bigger system means more savings and vice-versa; but the sizing of your system also depends on your current energy needs and your current geographic location. Working with an experienced solar contractor will help you design a solar power system that will be conducive for your home and maximize your energy savings. Online solar marketplaces play an important role to give you estimates of how much you can save and how many solar panels you might end up needing for your home or business. Although what you would get from an online solar marketplace would be estimates to help you decide whether solar panels are right for you. With the increasing electricity costs and the decreasing prices of solar panels, solar energy is becoming the most common source of energy and in some places it is competing very well with electricity sourced from cheaper sources of energy such as coal. With that background solar is beneficial because it is great source of saving money. How much you can save with solar will vary from state to state or from place to place depending on electricity costs and the tax credits offered by government to encourage adoption of solar. In general, expect to save on average about $20,000 over a period of 20 to 25 years. To get a more personalized report about how much you can save with solar or how many solar panels you might end up installing, check HERE to register and start the process of switching to solar. Here you will be provided with more solar energy plans and based on different financing options such as interest rates or type of financing you can select the solar plan that will be suitable for your household or business. This is another reason why homes and businesses are switching to solar. However, saving the environment with solar might not appeal to everyone. As much as we know that solar is good for the environment; different people have different values. Some people are passionate about conserving the environment, while some people want to know what economic/financial value solar will provide for them which is tackled in the first point discussed above. Today, there is an increased awareness in the media about climate change to reduce greenhouse gases emissions and move towards a sustainability path. As a result, many corporations or businesses, including Wal-mart, IKEA, GE and many others have already started implementing what is known as “sustainable business” to factor in social, economic and environmental aspects in their decision making processes as well as their business operations. In other words, a business that targets to improve its triple bottom line, i.e. People, Profit and Planet could consider solar panels. Going solar is a perfect example of an innovation that can help businesses to have an impact on their triple bottom line. Solar panels will directly reduce a company’s energy bill through cutting energy costs resulting from increasing electricity prices. Going solar will also help to create jobs and create employment thereby helping families and people contribute to the economy and improving their quality of life. In addition, going solar will help to off-set carbon emissions from conventional sources of energy such as coal, thus reducing the carbon footprint of a company. Likewise, most homeowners could switch to solar to help to make a difference in these three aspects of sustainability (social, economic and environmental). With regards to sustainability, homes going solar will contribute to sustainability by reducing their carbon footprint, encouraging local economies to grow, creating local jobs for solar contractors and installers while contributing to the overall local economy. In conclusion, the decision making of going solar is based on your specific situation and in this blog we have taken the approach of letting individuals and businesses use online solar tools to determine whether this move is worth it or not. You can determine how much you can save with solar and help you answer some of the common questions such as: Are solar panels worth it?. In this regard, we have recommended tools and other resources such as online solar marketplaces to help you determine your specific value of switching to solar. Depending on where you live, solar may end up being expensive for you as the end-user and that’s why we thought it is great to use these tools that can provide specific answers to questions you might have about going solar. A review of these tools is provided HERE while a review of online solar marketplaces is provided HERE to help you with your decision making process about going solar. Some of these tools can provide you with information for your specific case such as the amount of your carbon footprint that can be reduced when you go solar. Also specific questions you might have such as: How many solar panels you need? Are solar panels worth it? How much can you save with solar? etc can be answered using these tools or online solar marketplaces. 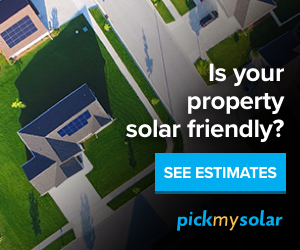 Get started today and compare your solar energy plans HERE. There are about a dozen houses in our neighborhood that went solar and those guys keep coming around trying to hook up some more. It really would be nice to put Southern California Edison totally out of Business especially when they keep hiking up the rates every year. I think more homes would be equipped with solar panals if renters could get them added to their homes. It is quite difficult when their Landlords don’t want any alterations done to their properties. I have such a Landlord and if they where installed I think her and other Landlords like her would use it as a Leverage to increase the cost of rent. I think the solar representatives need to target these Landlords harder and maybe offer them some incentive to convince them to install them on their rental properties. I also think that 1 million mark would quadruple if landlords would get onboard the program. What do you think? Thank you for your comment. Yes, landlords that consider to switch to solar will help to increase the adoption of solar, for a large number of individuals or businesses that do not own their facilities. I think landlords know this would be a capital intensive (depends on the number of houses involved)undertaking and lately I have seen this awareness is growing on how landlords can work with solar companies to reduce capital costs and make it a less complex arrangement for both parties. However, in my opinion I think a time will come when the cost of solar will be greatly reduced and landlords may have to consider solar as one way of reducing energy costs. I think with time, it will be a great thing for landlords to embark. Price reduction of solar panels will also reduce the amount of paperwork as they may opt to buy the systems for cash and avoid other contract options such as PPA or solar leasing. Great article about the benefits of switching to solar power. When I buy a house I am going to seriously be looking into solar panels for my roof. Over your lifetime it can save a great deal of money and will make you less reliable to the grid. Have you ever tried out the portable solar batteries that charge cell phones and stuff? If you have, do they work well, I have been looking into buying one. Thank you! I appreciate it for taking your time to read my blog. The good thing about solar is that its price will continue to drop even further making it more economical and competitive compared to other sources of energy. Very soon living without solar in your house will be missing out on an opportunity to save energy. Yes, solar portable batteries for charging options is a great place to start to save energy. I will be looking to buy one as well. I have written an article how to adopt these types of solar gadgets to enhance your energy savings: You can learn more here http://switchingtosolarpv.com/good-tips-on-how-to-solar-power-your-home/ Let me know what you think. You’ve raised some excellent points about the benefits of switching to solar energy. I believe it’s a good choice for anyone living in an area that has sustained periods of sunshine. Solar technology is rapidly improving which is bringing the cost of panels down. Whether you’re an environmentalist or not, carbon legislation on the horizon is going to force utilities to limit coal generation. This will drive up the cost of conventional fuel and make solar increasingly attractive. Thank you for stopping by and I am glad this blog was informative. Solar with other clean sources of energy will be the energy of the future. At the moment, we are making the transition to cleantech and different concepts and tools including policy frameworks are being developed to help shape the landscape of tomorrowâ€™s energy options. If you are considering solar, please check out this website for more details: http://www.switchtosolaronline.com Thank you again and I look forward to reading from you. Also you can contact us at support@switchingtosolarpv.com if you have any specific questions regarding solar.